GHDA has successfully offered quality instruction since 1940. The academy offers various dance programs for girls and boys, ages toddler through adult. We can accommodate all levels, beginner through professional. Afternoon and evening classes are offered Monday through Friday, while Saturday classes run throughout the entire day. The academy is located at 278 Oakwood Drive in Glastonbury. Summer classes are available. For information and registration, call 860-633-DANC (3262). 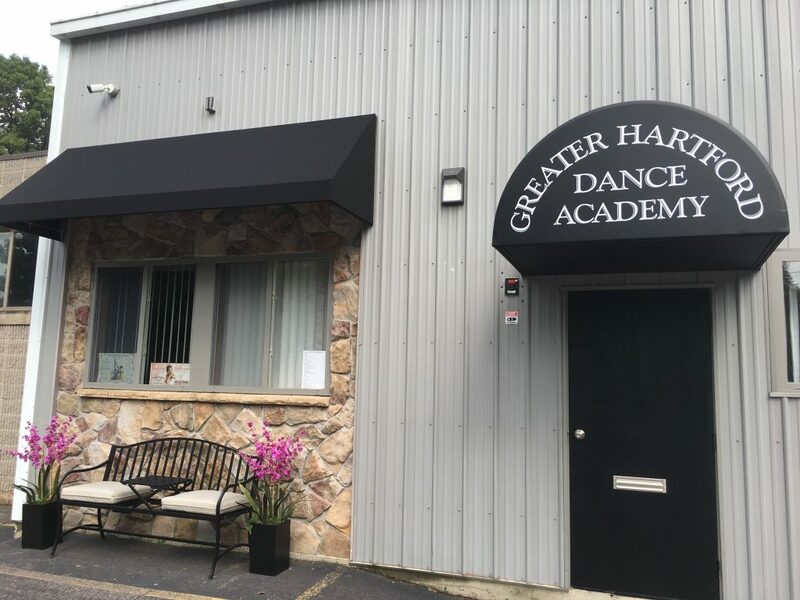 GHDA offers classes in tap, jazz, hip hop, ballet, lyrical, contemporary, leaps and turns and acro-gymnastics. Specialized pre-school/toddler program is an introduction to dance and gymnastics. It includes basic tap, pre-ballet and creative movement, jazz and rhythmic skills, basic tumbling, songs and dances with interpretive movements and marching. It also helps to improve motor skills and coordination, and to acquire rhythm and self-expression. This program is an enjoyable and fulfilling experience for children. It exposes them to a unique group situation, aids in gaining self-confidence, and builds a sense of independence. Our techniques have proven to be very successful….and most of all, it’s FUN, FUN, FUN!!! Students perform in end-of-the-year presentation. Age appropriate music has been selected for all classes. Dance shoes, apparel and accessories are available for purchase right at the studio. For information and registration call 860-633-DANC (3262). Discounted family rates available. Attend open house enrollment and get a discounted registration fee. Pre-registration recommended for preferred placement by phone or email. We have payment plans available and there is no mandatory full-term commitment. Safely located at the end of a quiet cul-de-sac away from heavy traffic. 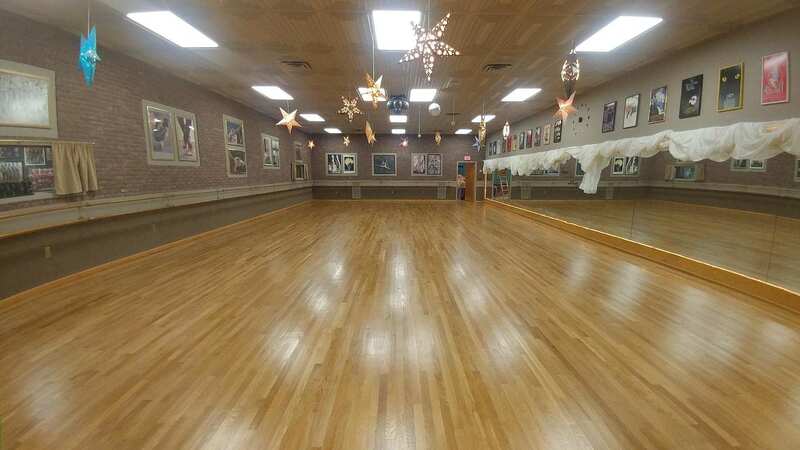 Professionally fully equipped air-conditioned studio features sprung oak flooring, high ceilings, ballet barres, fully mirrored walls, state-of-the-art sound system and fancy over-the-top specialty lighting for special occasions. 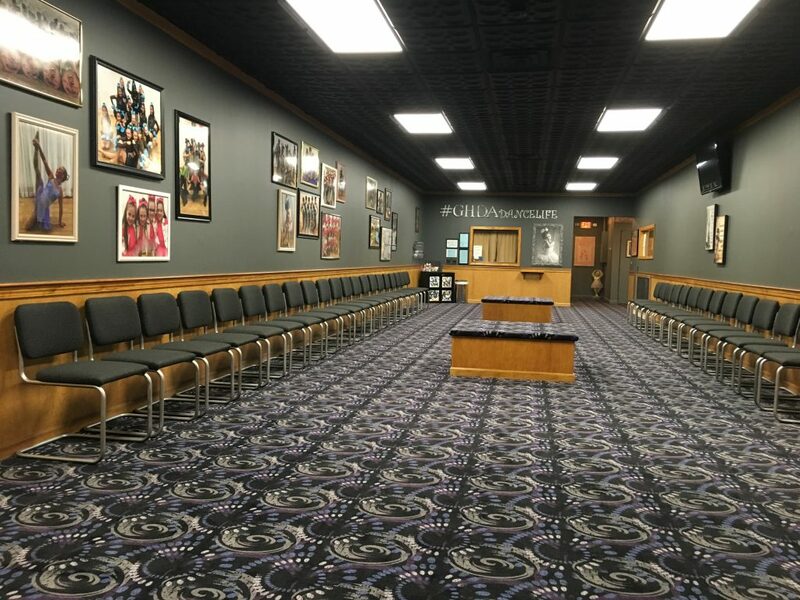 The oversize waiting area is carpeted, has upholstered seating, offers video observation, as well as activities to busy the younger siblings. Dressing rooms and handicapped accessible restrooms also on site. Parking is available on premises.